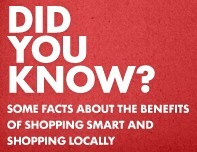 Why shop at a locally owned business first makes a difference? The following 10 reasons show how more money spent at local businesses is reinvested in your community creating diversity and helping the community maintain or create its unique appeal. 1. Keep money in the neighborhood. A recent study showed that locally owned businesses re-circulate 70% more money back into the local community than chain stores, per square foot occupied. A space filled with a local business rather than a chain puts more dollars back into YOUR neighborhood. 2. Embrace what makes us different. Where we shop, where we eat and hang out – all of it makes our neighborhoods home. Chain businesses change the character of our neighborhoods. If we wanted to live someplace that looked like everywhere else, we wouldn’t be living in town. In a local business, you know the person behind the counter, and they know you. They have a deep understanding of the products they’re selling, and they take time to serve their customers. 4. A Create and keep good jobs. 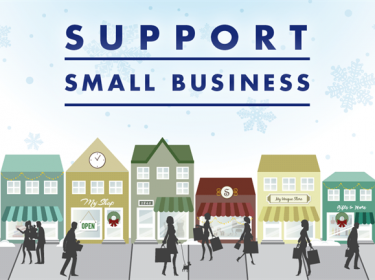 Small local businesses are the largest employer nationally, and small businesses account for the vast majority of job growth. Locally owned businesses are far less likely to pull up stakes and move operations to another city or country, taking their jobs with them. 5. Promote competition and diversity. A multitude of small businesses, each selecting products based on the needs of their local customers and not on a national sales plan, guarantees a much broader range of product choices. 6. Help out the environment. Locally owned businesses can make more local purchases, requiring less transportation, and they generally set up shop in commercial corridors rather than developing on the fringe. This means less sprawl, congestion, habitat loss, and pollution. Nonprofits receive an average 350% more support from local business owners than they do from non-locally owned businesses. 8. Put your taxes to good use. Local businesses in neighborhoods need comparatively less infrastructure investment and make more efficient use of public services as compared to nationally owned stores entering the community. 9. Vote with your dollars. A study in Austin, TX showed that if each household redirected just $100 of planned holiday spending from chain stores to locally owned merchants, the local economic impact would reach approximately $10 Million. 10. Invest in the community. Local businesses are owned by people who live here, work here, and are invested in the community with much more than just their dollars.